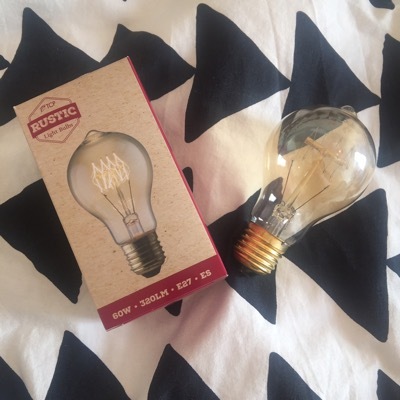 Domestic Aesthetic – Trends, inspiration & beautiful things for the home. I have been looking to fall in love with a mid century desk for about 4 months now but not quite found anything that 1. either I liked enough or 2. I could actually afford! So fed up of having no where for my computer and all my craft stuff stacked on the floor. I decided to take matters into my own hands and create something as an interim solution. Until the elusive perfect mr desk comes along! 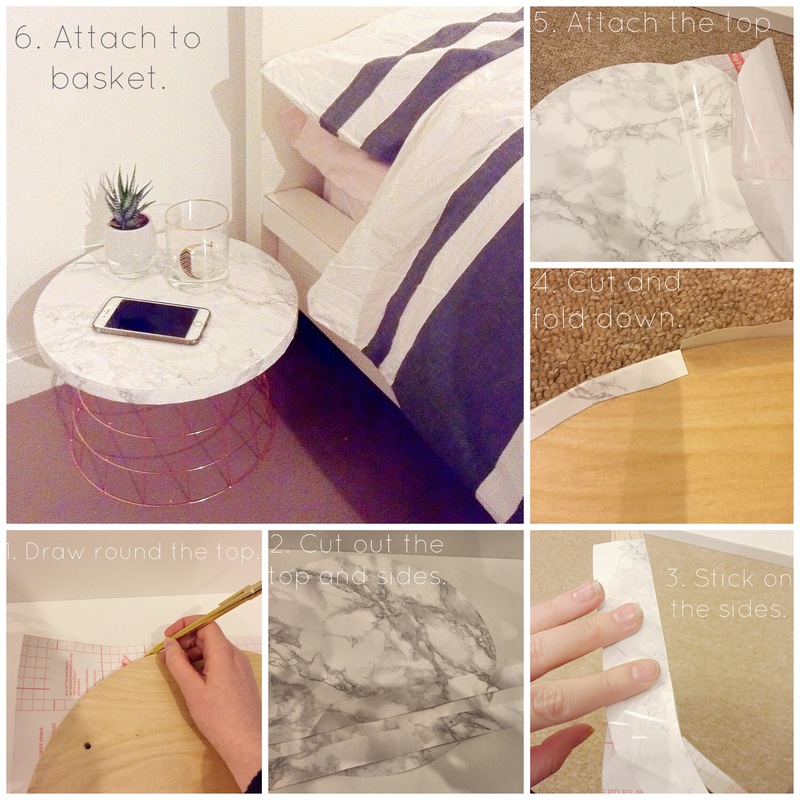 2 & 3) Place the marble contact over the table top and slowly peel the backing off starting at one end. Using a credit card or ruler to keep the air bubbles out. Tip is to spread out from the middle to the edges as you go. Be patient this can take a while but is worth it to get a professsional finish. 4 & 5)Turn over the table top and line up your legs. Mark where the screws need to go. (if you are using ikea legs you can skip this step) Drill a pilot hole for each of the screws, being careful not to go all the way through. Talking from experience here! 6) Screw your legs on firmly. Turn over. Voila! Your table is ready to style! Hope this has been helpful. 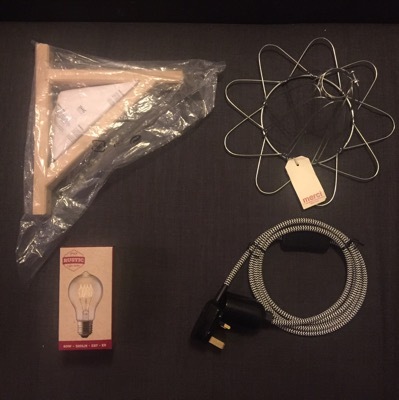 This was my first ikea hack and I was really proud of the results. 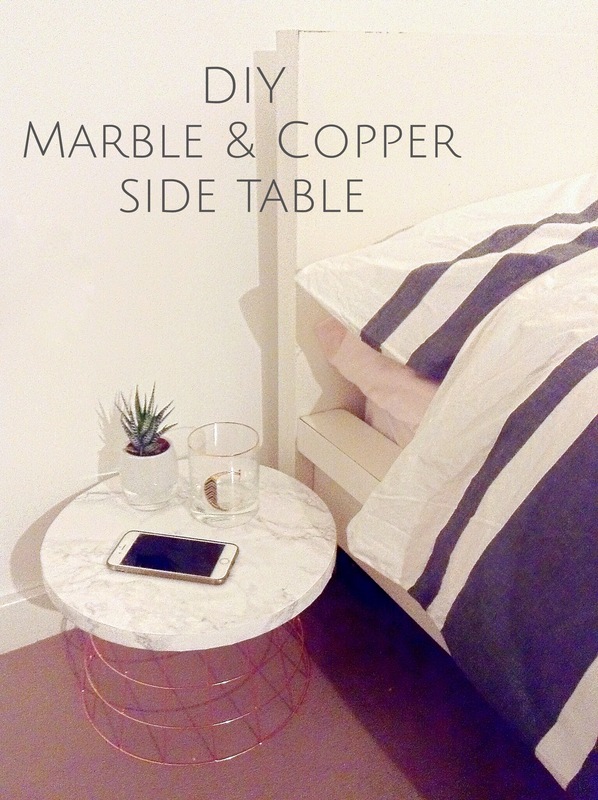 I do now want to cover everything in marble contact paper though! 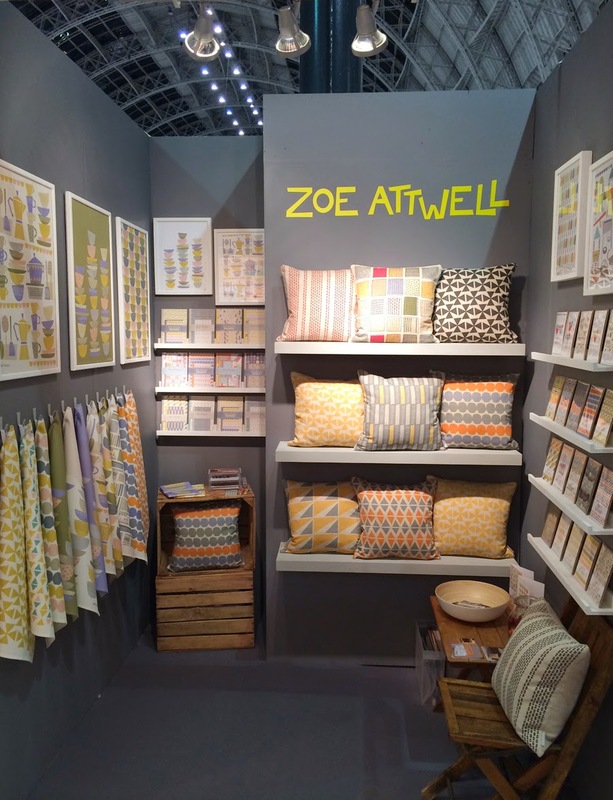 One of the designers that caught my eye at Top Drawer was Zoe Attwell. She started her career in editorial design and then changed to pursue her passion of pattern . I’m very glad she did! I love her use of bright cheerful colour and her mid-century influenced designs. Not to mention the beautiful styling on her website. 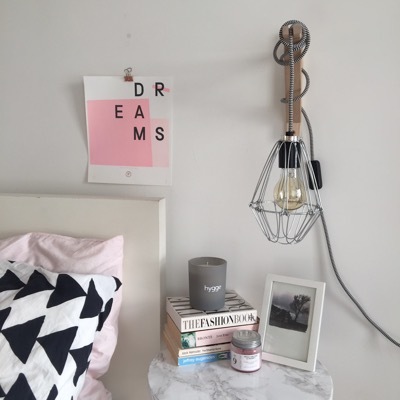 I really want that bedside cabinet! 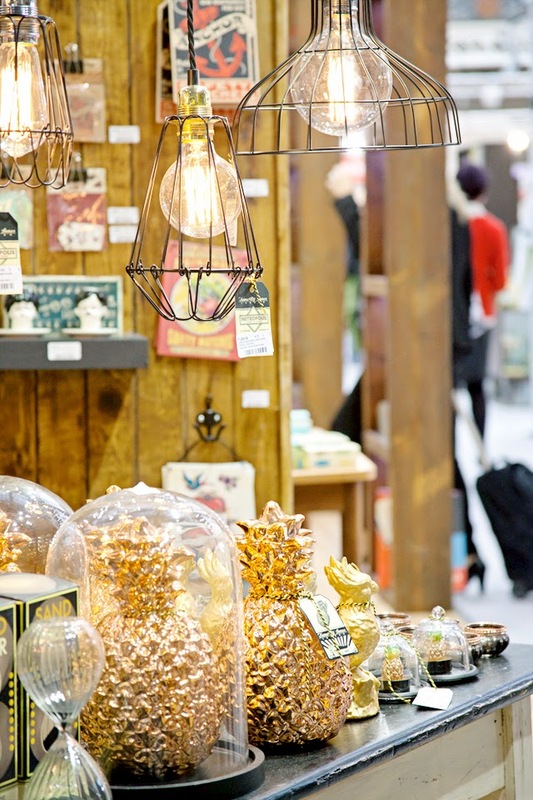 What home could resist one of those gorgeous tea towels or luxury linen cushions! Grab them on Zoe’s NOTHS Shop. 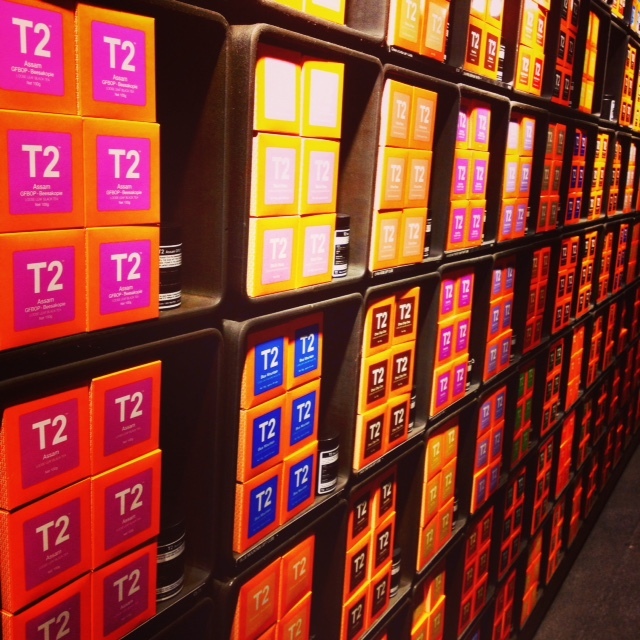 Stacking shelves has never looked so appealing! So last Sunday I met up with a friend for a bit of a wander down Redchurch Street near Brick Lane. 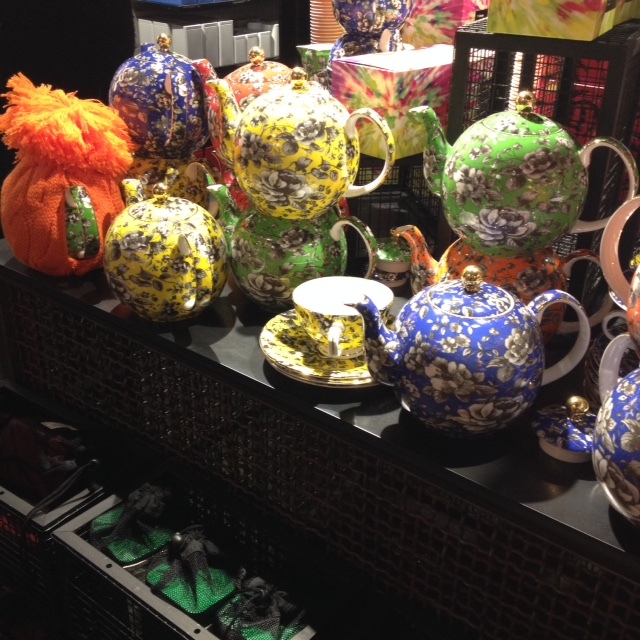 I hadn’t been for a while but there was a couple of new places that had opened up including an amazing new teashop. It was so beautifully put together from the tea leaves in little copper pots to the modern and bright packaging to the perfectly formed tea cups and other paraphernalia. I couldn’t stop looking at everything. Everything was just so bright and bold. I liked that everything was pared back with black which was actually a refreshing change to the white you usually see in retail spaces. Surprisingly this didn’t make it feel serious or imposing just made the colours pop even more. I did fall in love though with Barry (never thought I’d say that!) the most perfectly formed mug. The shape just made you want to hug it with two hands and fill it with comforting soup or hot chocolate. 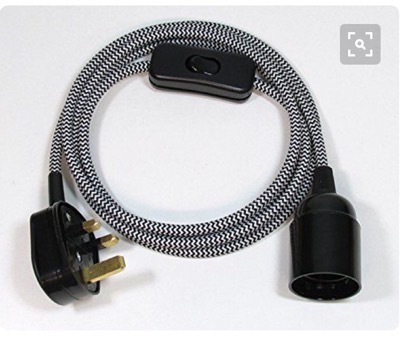 Will definitely have to buy some when I get my new place! How can something so perfectly formed be called Barry? 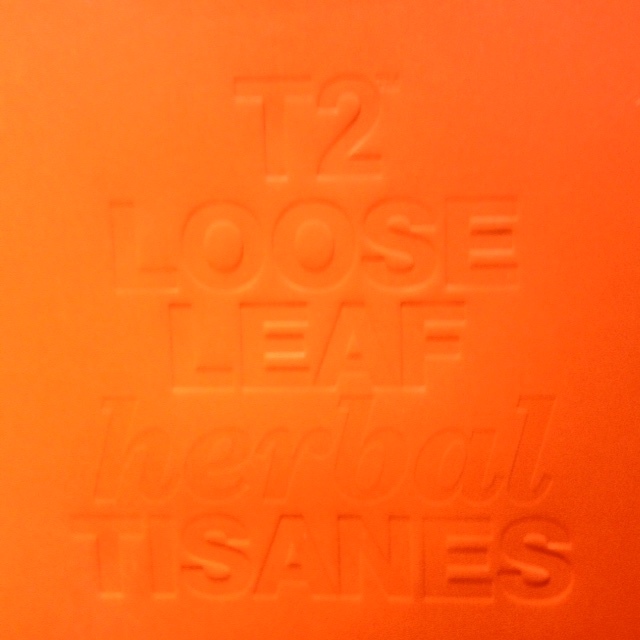 Temerity Jones – New fun lifestyle brand. So a little bit later than planned but here are a few of my highlights from the Top Drawer/Home show in January. It was a very large show with lots of inspiring exhibitors with amazing products on display. 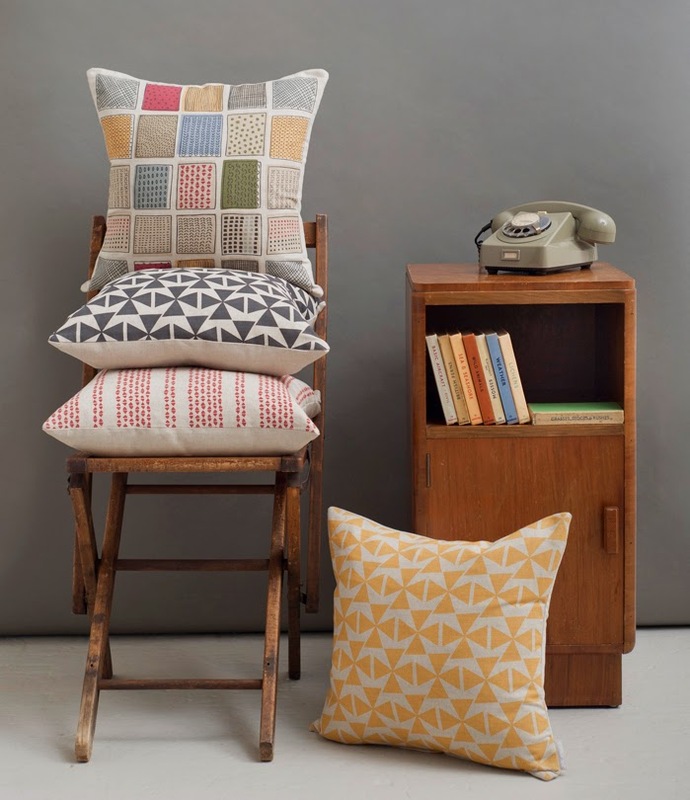 So starting with Temerity Jones, a new homeware and lifestyle brand that has a decidedly mid century leaning. Probably why I was attracted to it from so far away (or maybe that was to do with the pegboard on the stand)! It feels like its doing something abit different compared to alot of brands. I loved the gold pineapples and wire-framed lighting. Both I’m starting to see more and more of. Temerity Jones seemed to pull it all together in very visually cool way and less minimalistic. 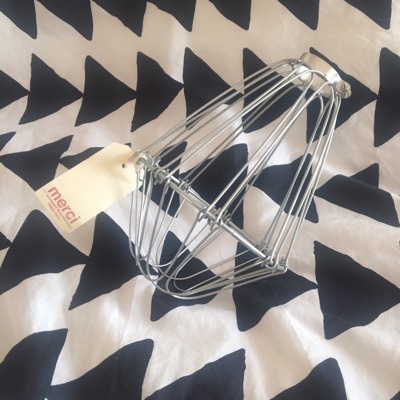 Their website is mainly for trade but I have started seeing some items being stocked in Oliver Bonas, Joy and similar stores. Think I am definetely going to have to have one of those light fittings! 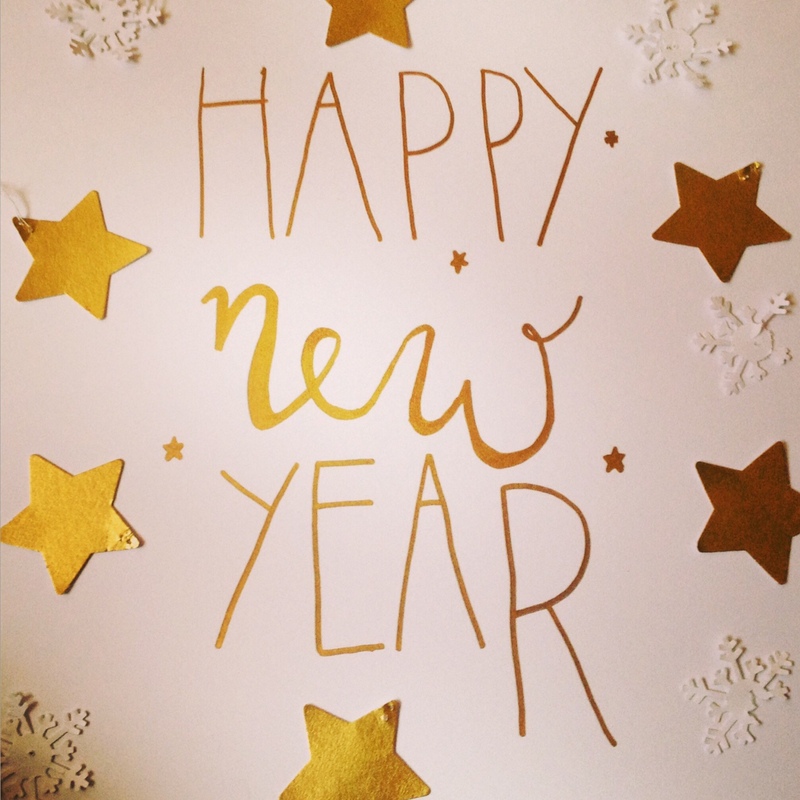 So 2014 I finally got round to deciding on a blog name and actually setting it up. I blogged a few times but just didn’t make it a priority. 2015 is going to be different. So 2015 I’m making a promise to myself and anyone reading that I am going to blog everyweek. Whether it be short and sweet or intense and in depth. This is the year that I am focusing on the things that are important to me and that I love. So first post this year will be about Top Drawer. I’m attending tomorrow with my good friend and children’s illustrator Elissa Elwick. (go check her out!) I am sure I will find lots of interesting and inspiring items to tell you all about!